In the Chinese Grand Prix last weekend something stood out for me. Something rather blink-and-you-miss-it; that didn't seem to raise much comment. Early in the race you may recall Sebastian Vettel and Fernando Alonso circulating in tandem - Vettel second; Alonso third. Alonso pitted for the first time, seeking the undercut on Seb, and rejoined the action a little way behind the Toro Rosso of Daniil Kvyat, not yet pitted. But on fresher rubber Alonso bore down on his opponent quickly then passed the STR9 on the back straight. And when Seb pitted himself at the end of the lap he not only emerged behind Alonso but also was himself now behind Kvyat. Advantage Alonso as Seb is stuck in traffic? Well, no. In the blink of an eye, before the first turn was even half done indeed, Kvyat - who clearly has learned quickly - had smartly nipped out of the Red Bull's way and let Seb by. It wasn't the biggest surprise of course, in that the first thing a lot of F1 followers would attribute to Toro Rosso in a word association test is that it is Red Bull's 'B' team, owned as it is by the same fizzy drinks entity. It's also not the first time we've seen this sort of thing; China last Sunday was merely the latest. The footage of then-Toro Rosso pilot Jaime Alguersuari having strips torn off him by Red Bull bigwig Helmut Marko in Korea in 2011 due to the heinous offence of having held up Seb in a practice session (yes, a practice session) lingers unpleasantly in the memory. 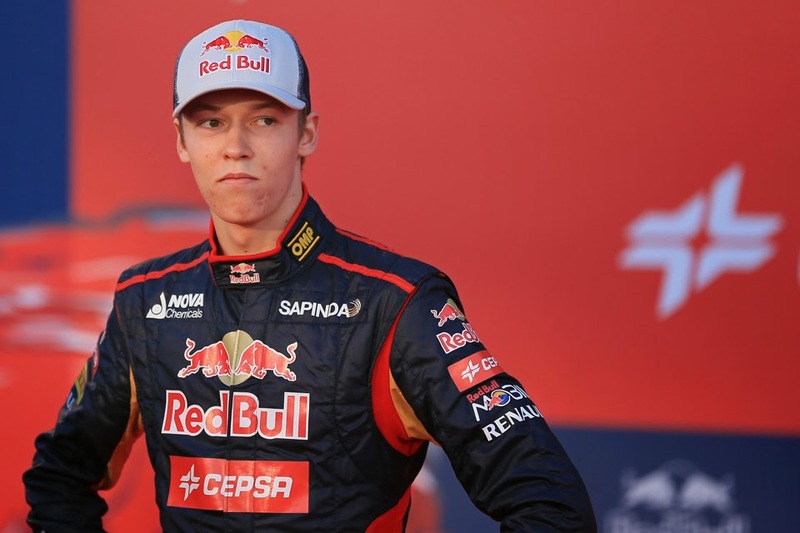 While since it seems the Toro Rosso pilots know exactly what is excepted of them. Even though the instances necessarily don't arise that often, when a Red Bull gets behind a Toro Rosso, even if it's in a race for position, the Toro Rosso can be expected in a response akin to Pavlov's dog to swerve out of its pursuer's path pronto. As Martin Brundle has been given to comment (presumably in reference to Alguersuari): 'the last Toro Rosso driver to get in the way of a Red Bull no longer is a Toro Rosso driver'. One other notable occasion of such was in the notorious 'flag gate' after the 2012 title decider in Interlagos, which oh-so briefly threatened to take Vettel's latest title away from him. For me though perhaps the most intriguing part of the whole case was that the pass in question by Vettel of Jean-Eric Vergne's Toro Rosso (thought to be under yellow though it turned out not) was made possible because the Toro Rosso driver got out of the throttle conspicuously in a straight line. Also not new is more than one F1 team being owned by the same person. 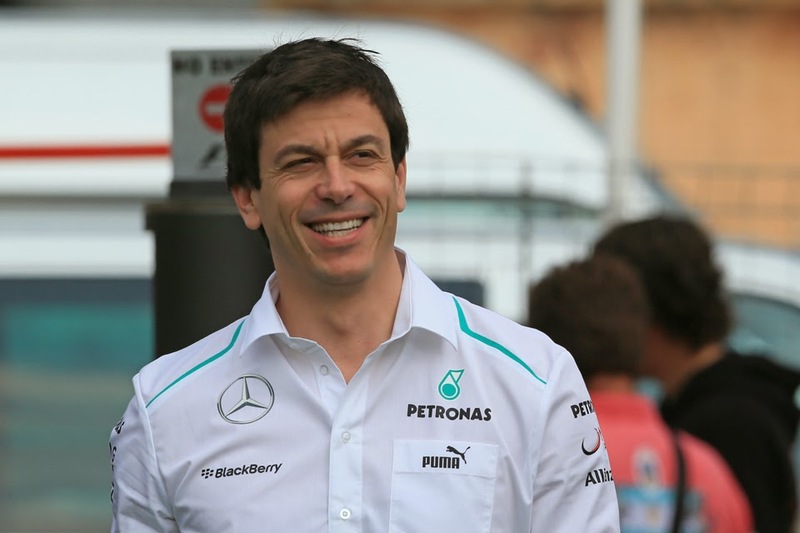 Toto Wolff as well as his Executive Director role at Mercedes and being a shareholder there, also continues to hold shares in his former employer of Williams, though he's also been quoted as saying he intends to sell at least some of his stake in the Grove team. Flavio Briatore too for a period in the 1990s owned the Ligier team at the same time as he ran the Benetton squad. And of course we have team orders in F1, and they're within the rules if often controversial, but what appears to be one team assisting another seems one clear stride beyond that. And while you might think that I'm making a bit much of this, consider that, given the clear potential for conflicts of interest, this sort of thing would never be allowed in most other sports. An equivalent in football would be, say, the Manchester City owners deciding to buy Norwich City too. It's hard to imagine it being allowed at all, isn't it? Imagine moreover that if even if it was allowed, after this Norwich were to roll over and lose 4-0 to Man City every time they met... In Spain there are B teams in football, but pointedly they're not allowed to compete in the same division as their respective A squads, even if they earn a promotion place. While had something like a Toro Rosso's assisted pass by a Red Bull happened in horse racing it likely would have been referred for investigation as a possible race fix. And at what point do we draw the line in F1 on such activity? Presumably we wouldn't allow a team to purchase the rest of the field? Especially not if the other teams' pilots started to get out of the throttle in a straight line to let their parent cars past? And while this may be deliberately facetious point it's also the logical, extrapolated, conclusion. Perhaps the FIA shouldn't have allowed such multiple ownership in the first place. But perhaps also it's reflective that F1 is a sport that doesn't worry too much about where its money is coming from. 'Twas ever thus.